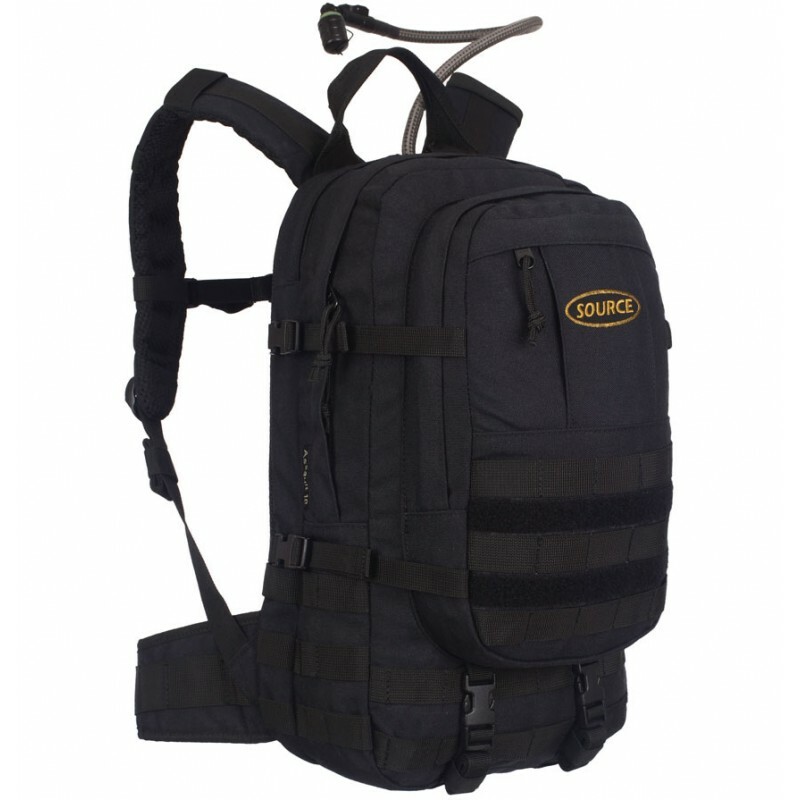 Exterior ....................... Cordura Nylon 500 denier. 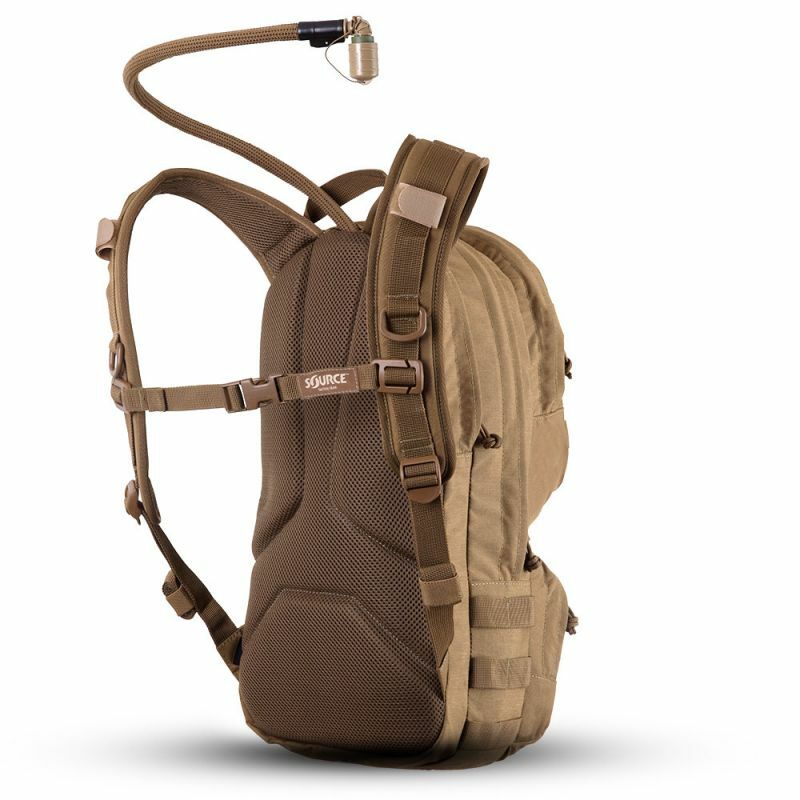 Adjusting Straps ........... 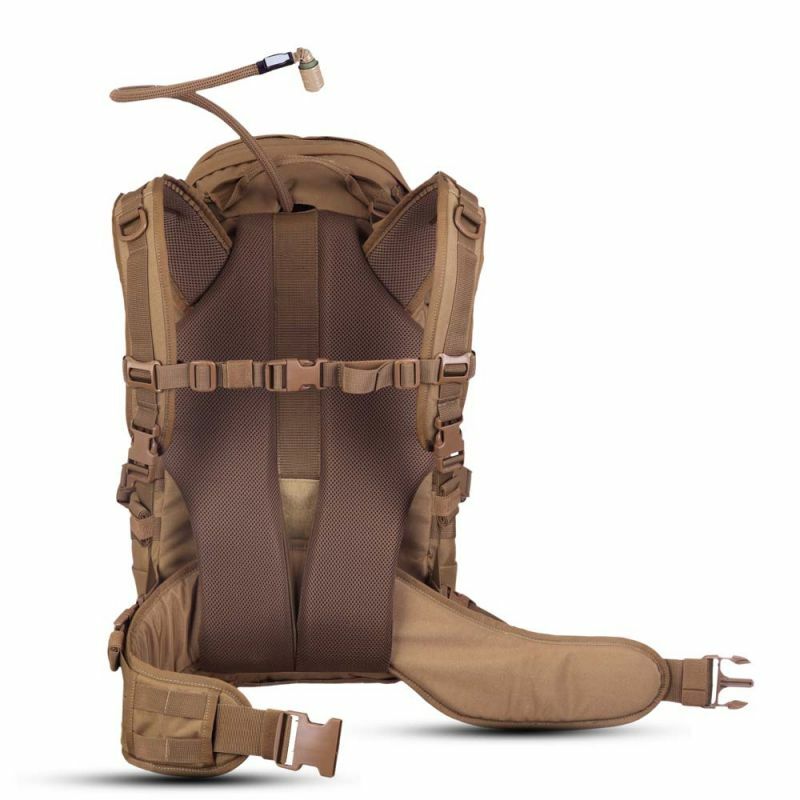 Heavy Duty PP. 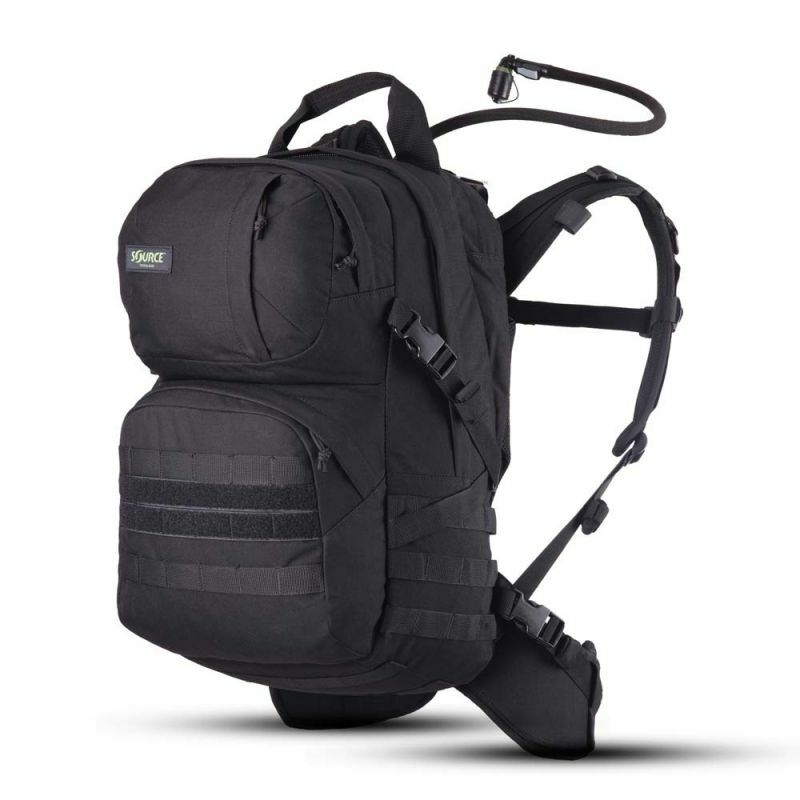 Buckles ........................ Super tough Nylon. 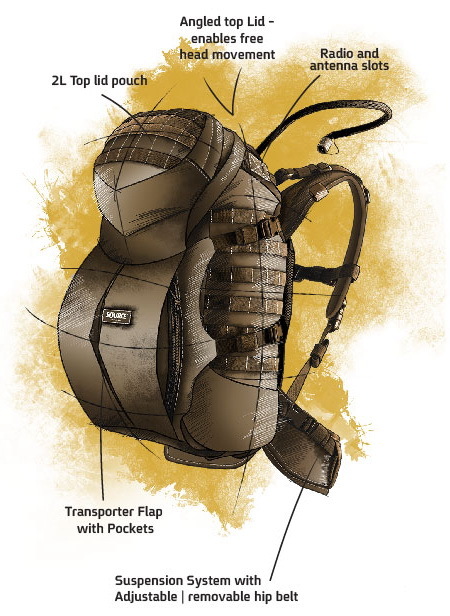 The patrol is a versatile 35L pack. 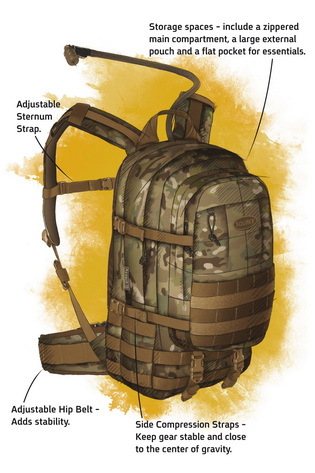 The updated design (available since 2014) features improved back system, reduced weight and overall sturdier pack. 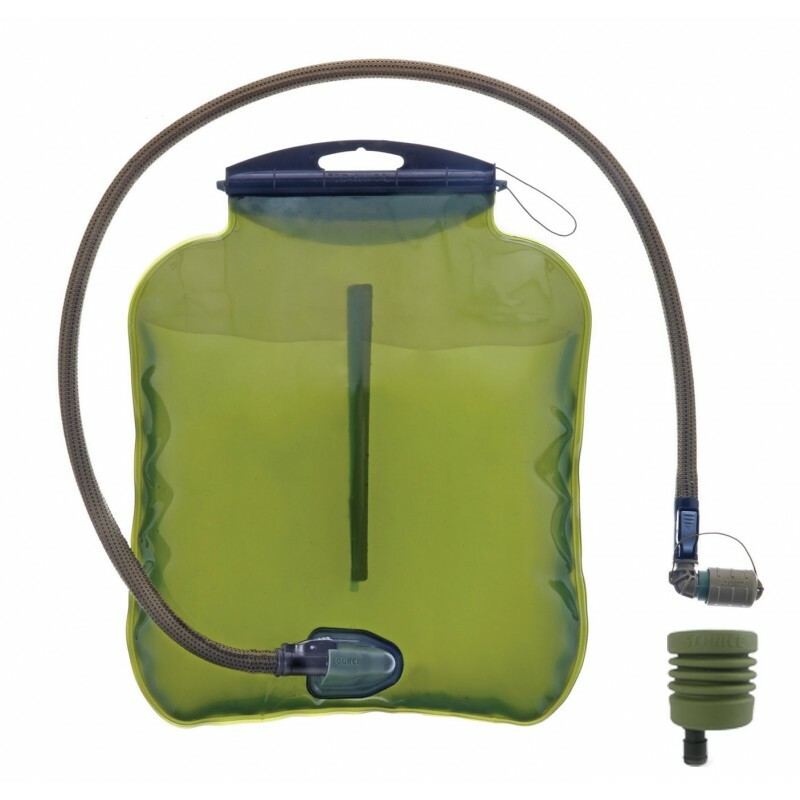 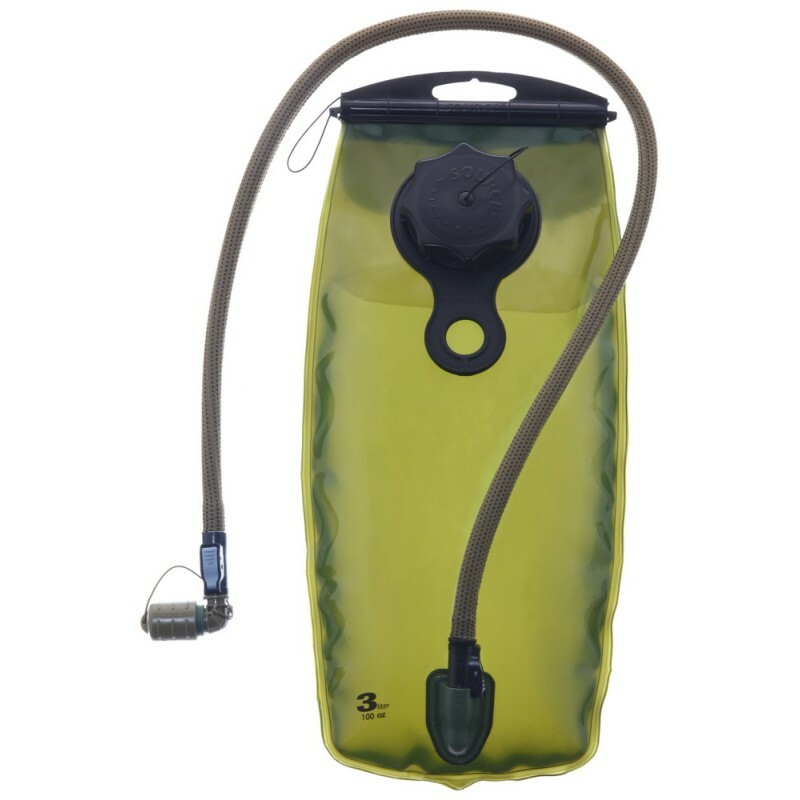 The WLPS 3L hydration system is included . 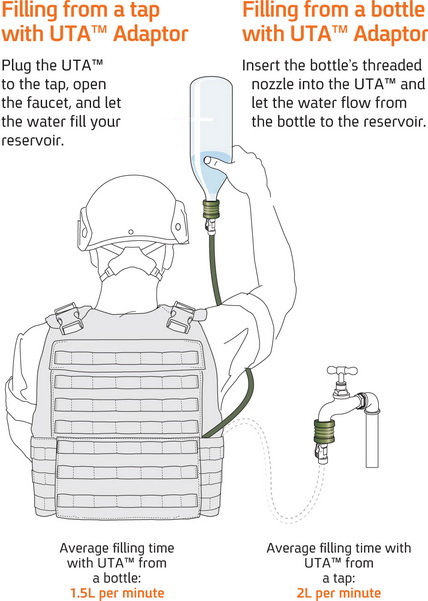 High performance hydration Assault pack. 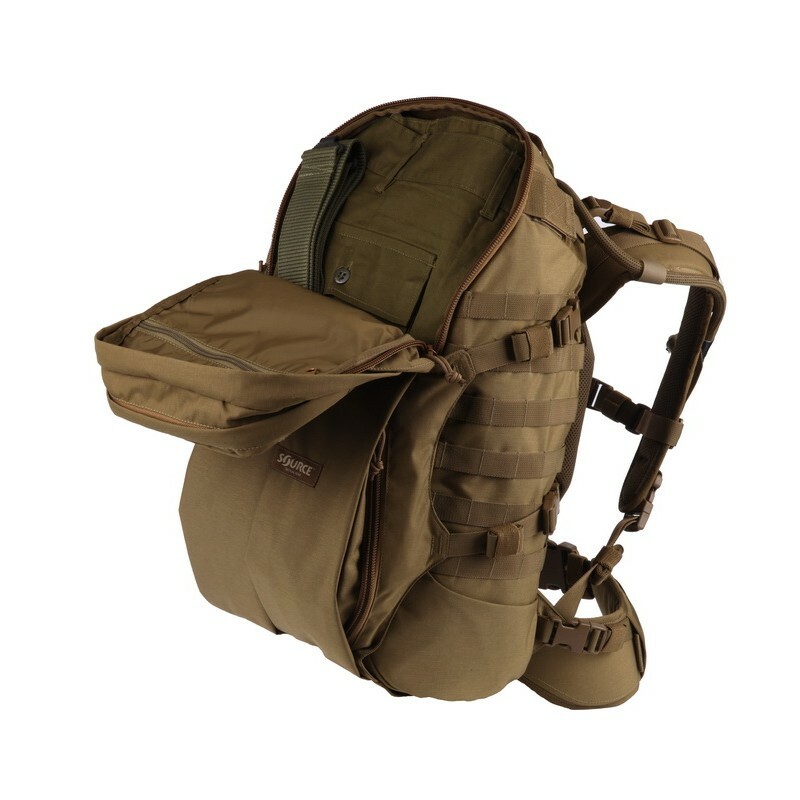 Features: Generous main compartment with 1 large expandable back pocket. 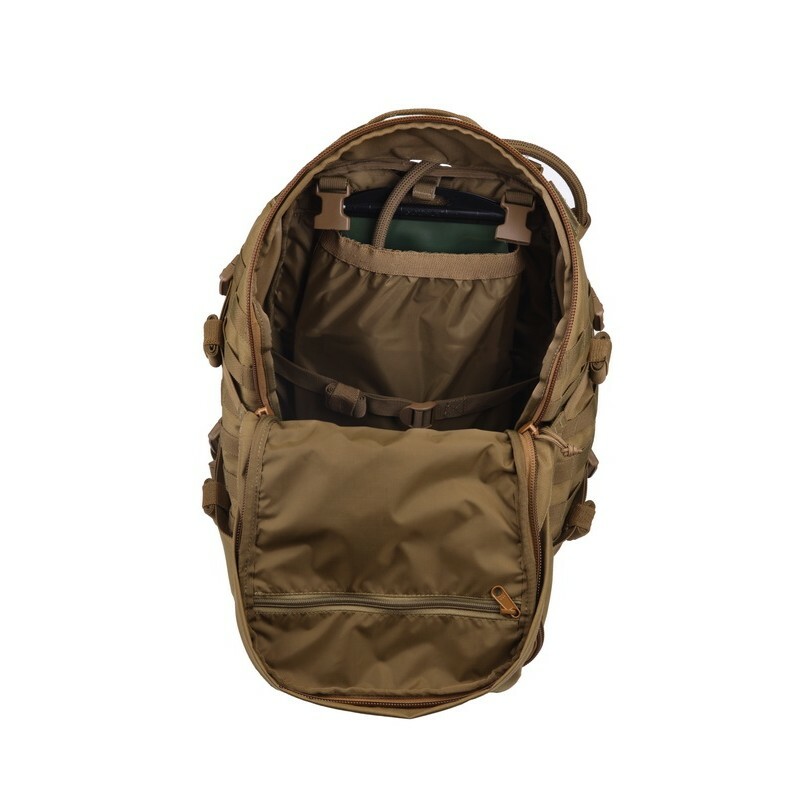 Pocket includes "storganizers" for organizing small items. 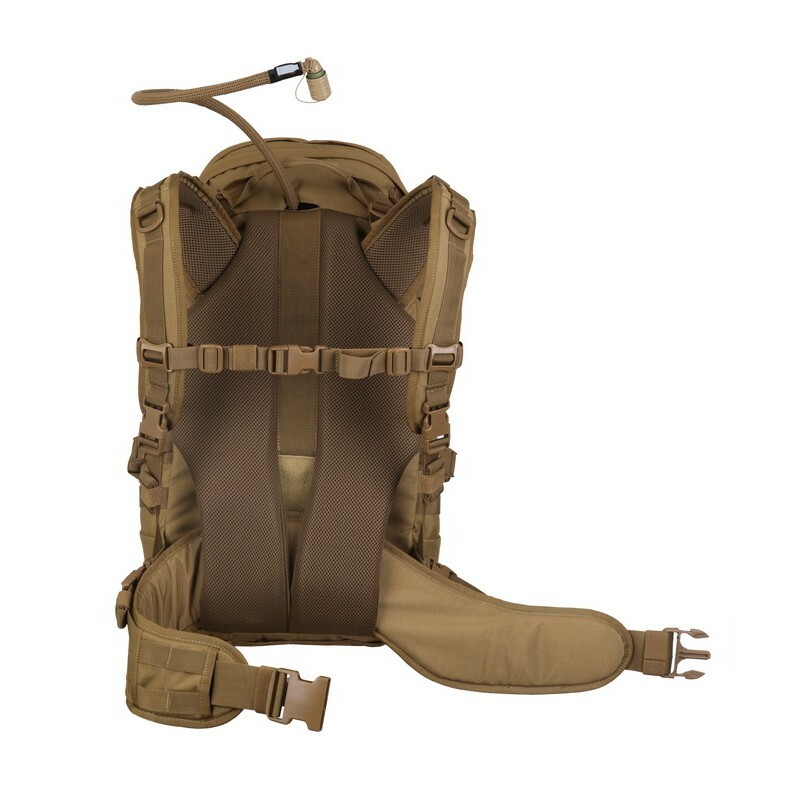 Lightweight hipbelt for load stability. 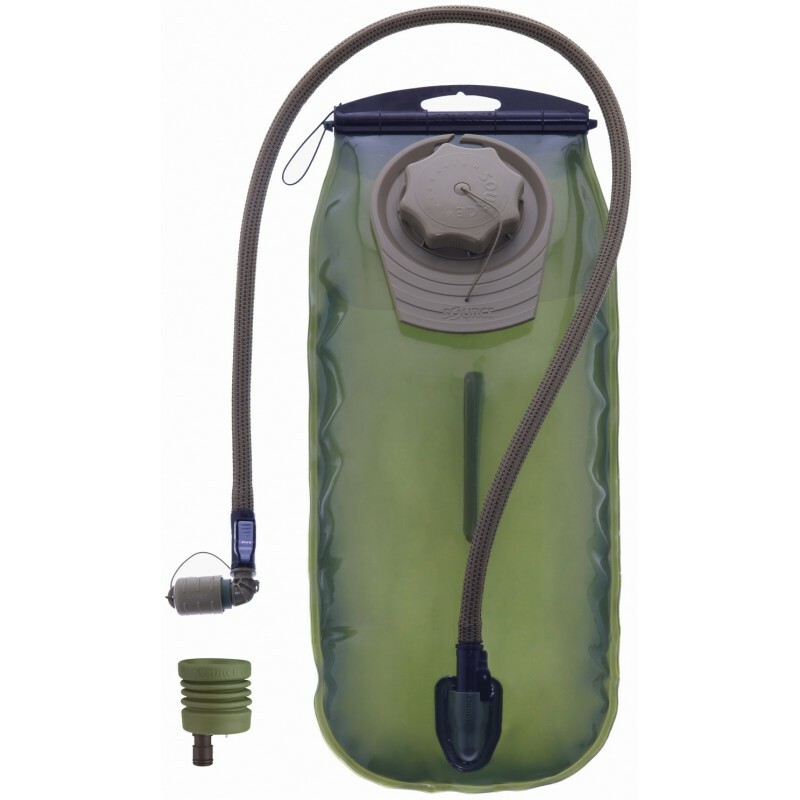 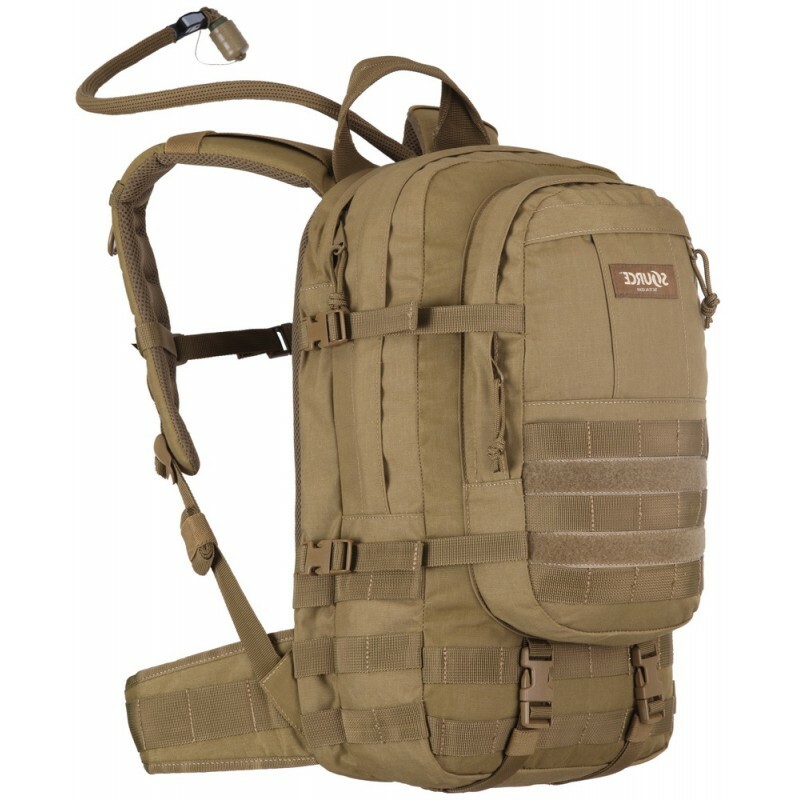 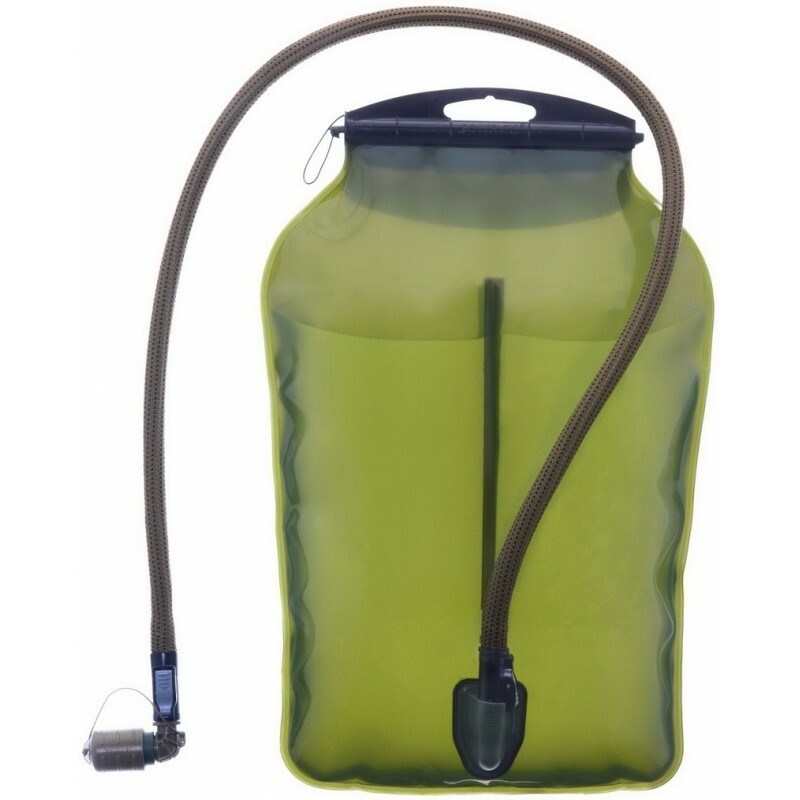 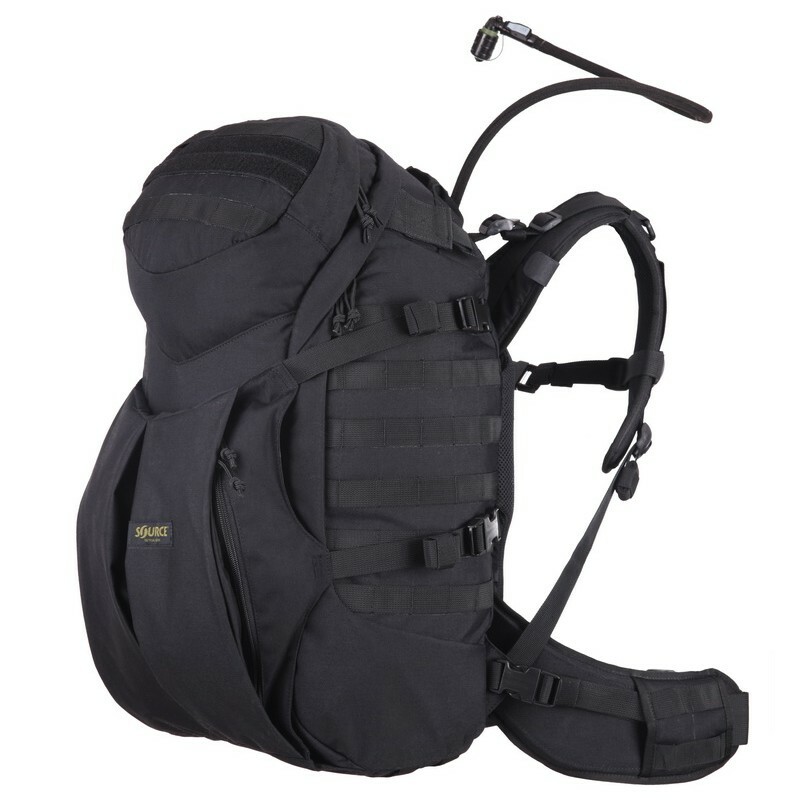 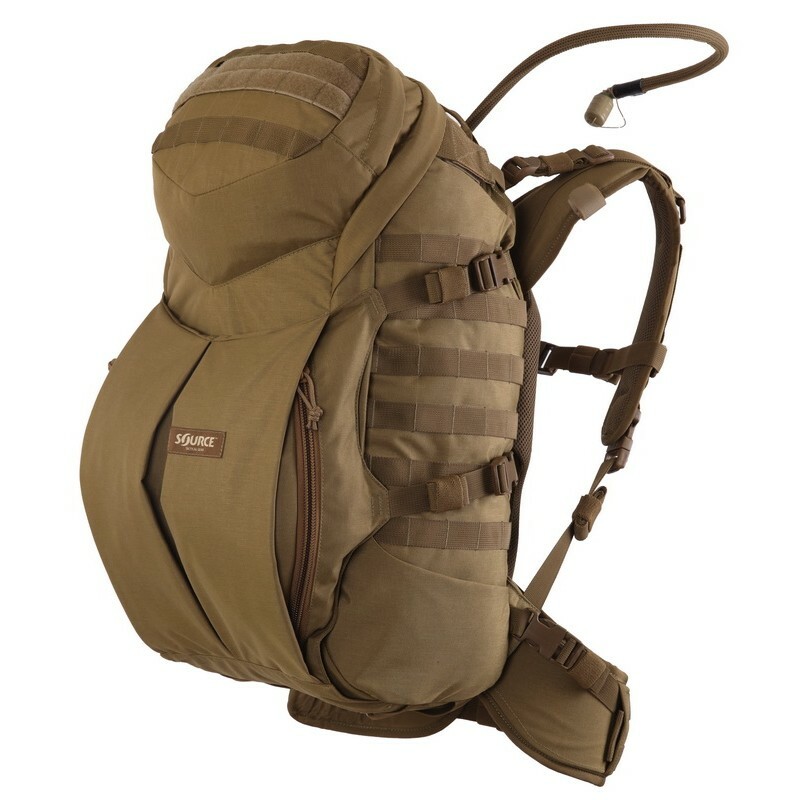 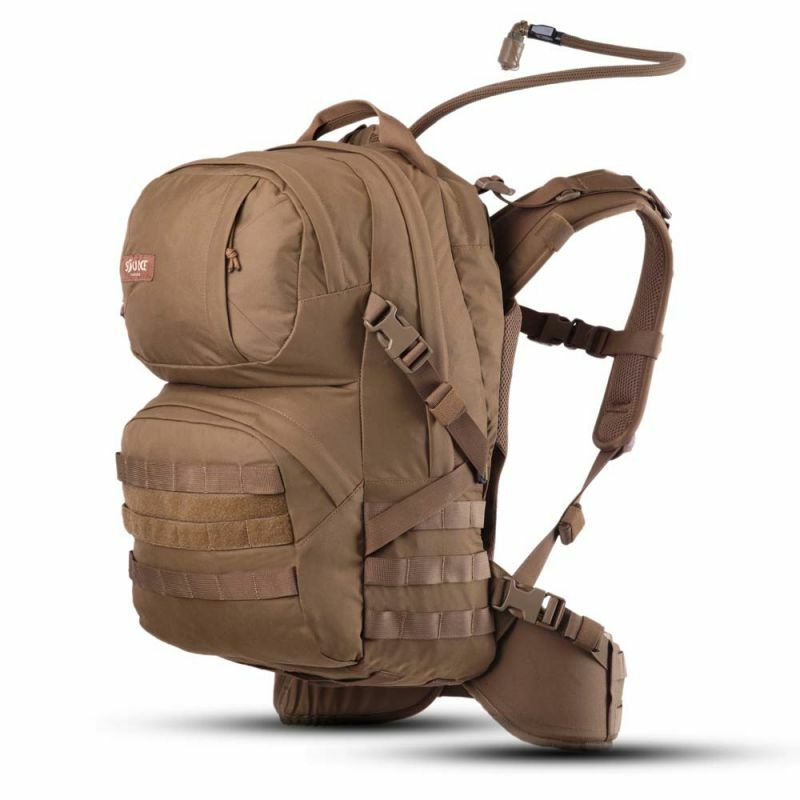 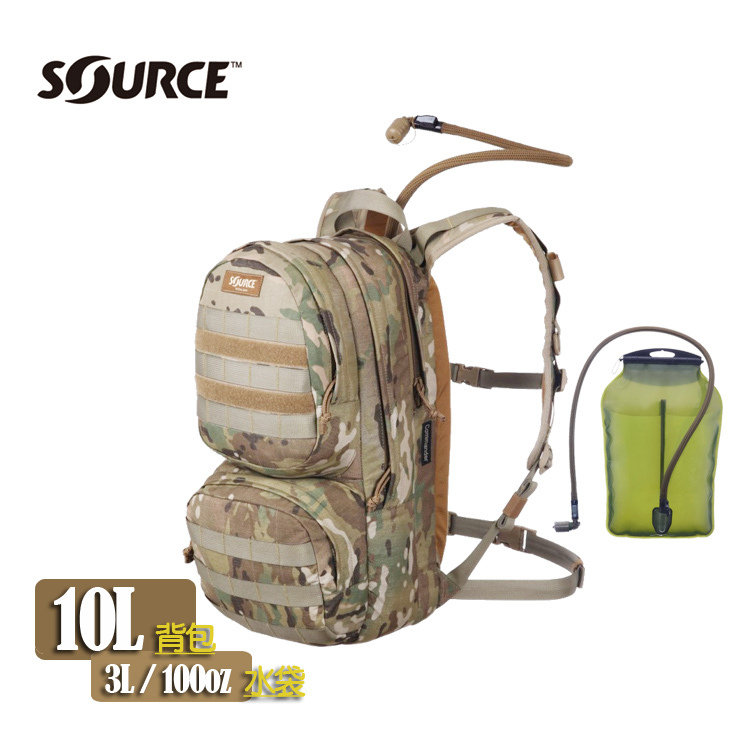 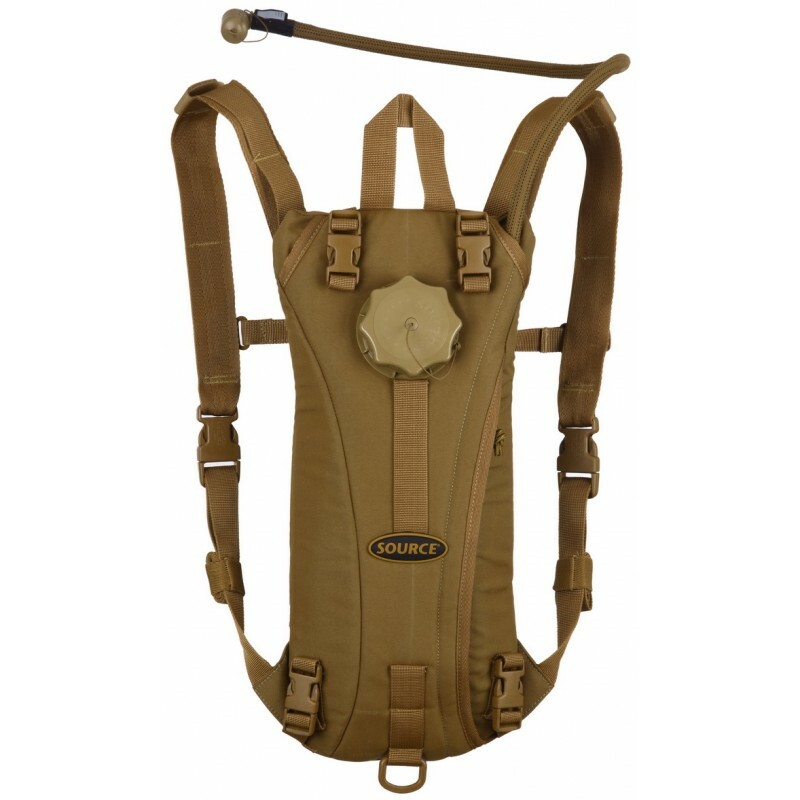 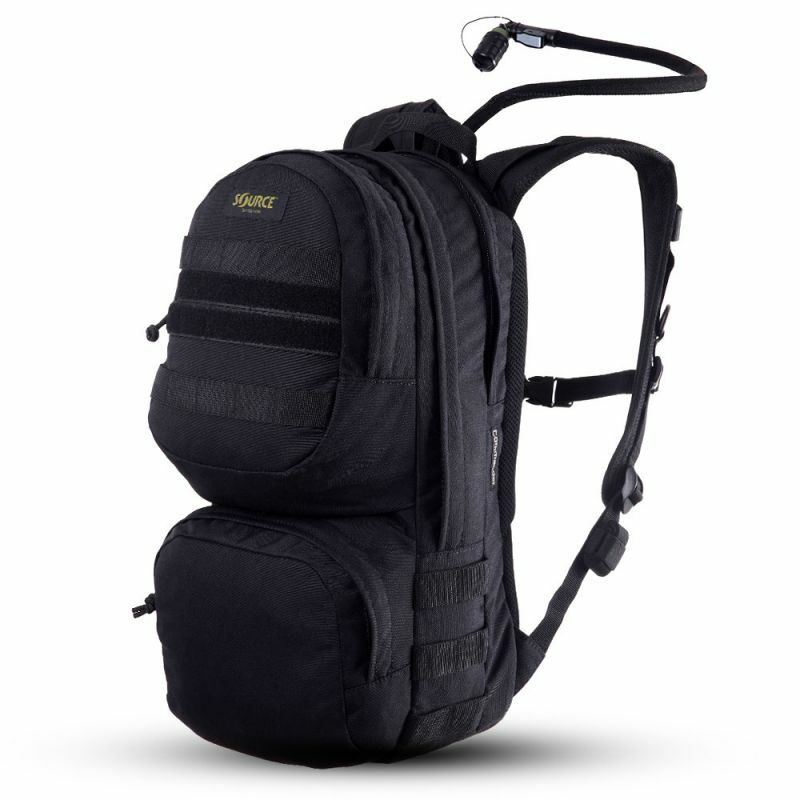 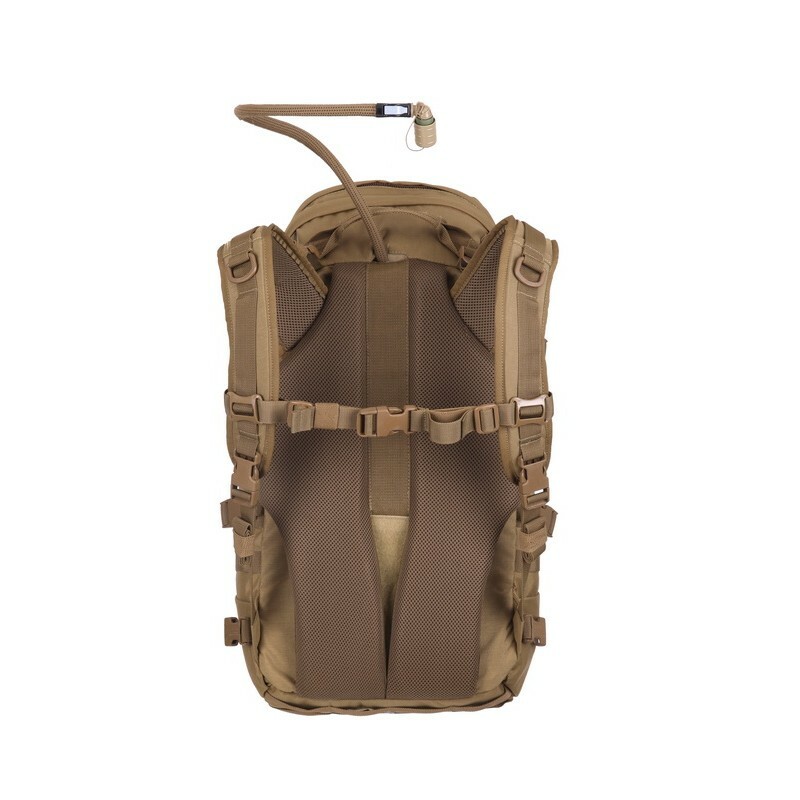 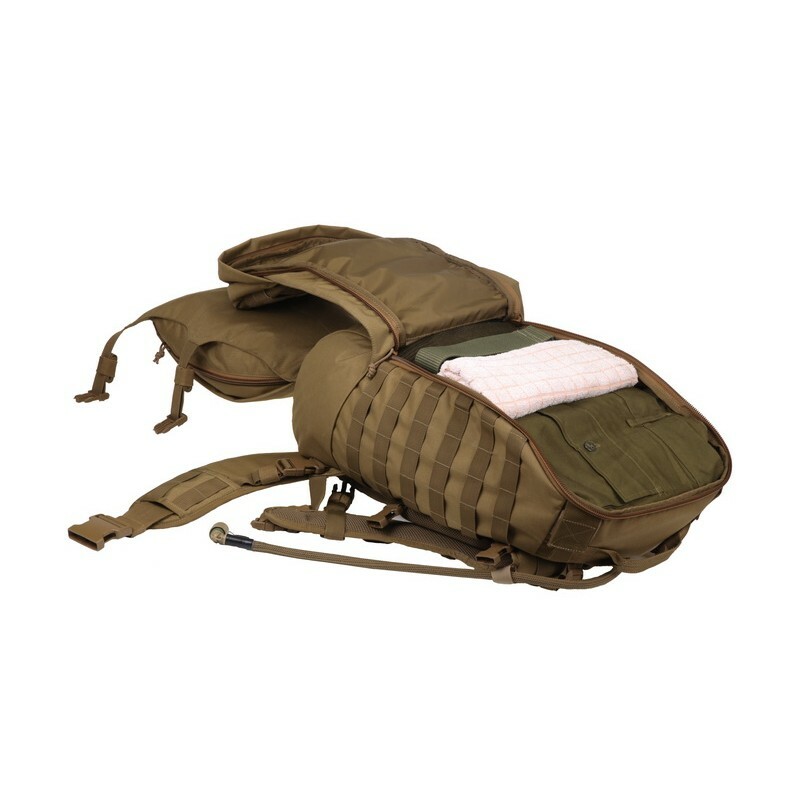 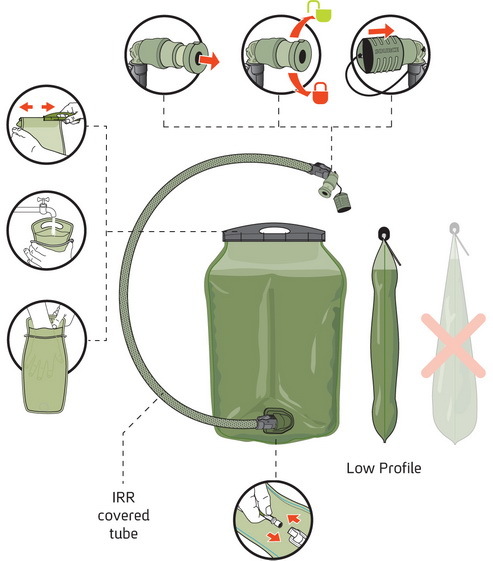 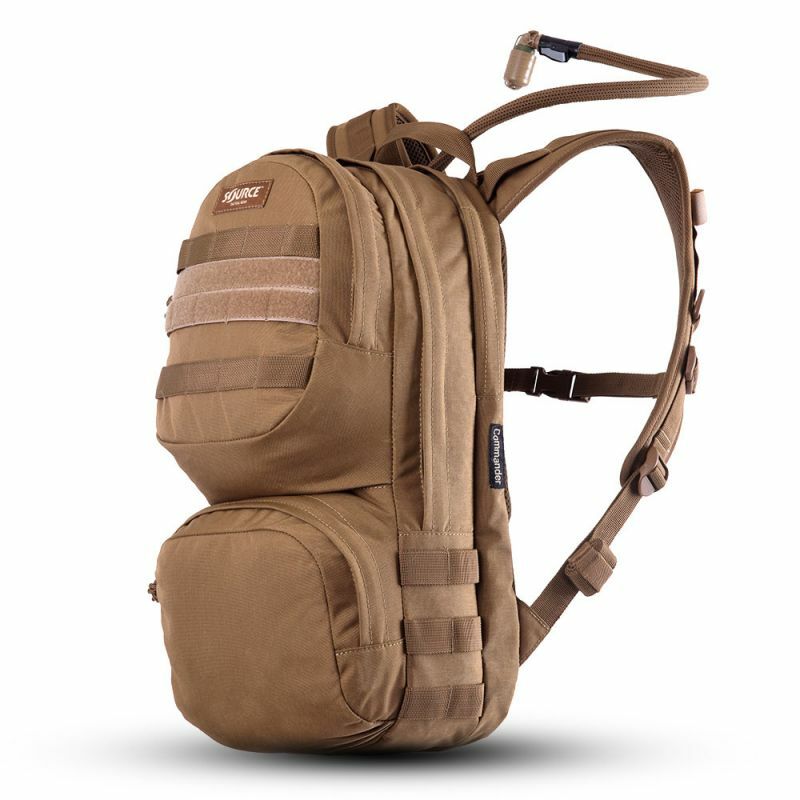 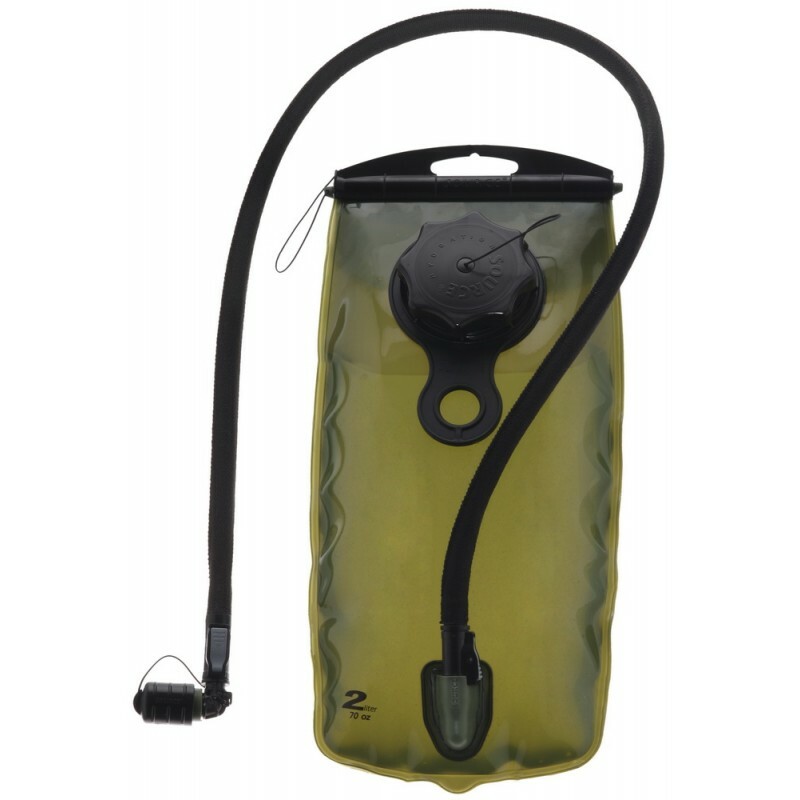 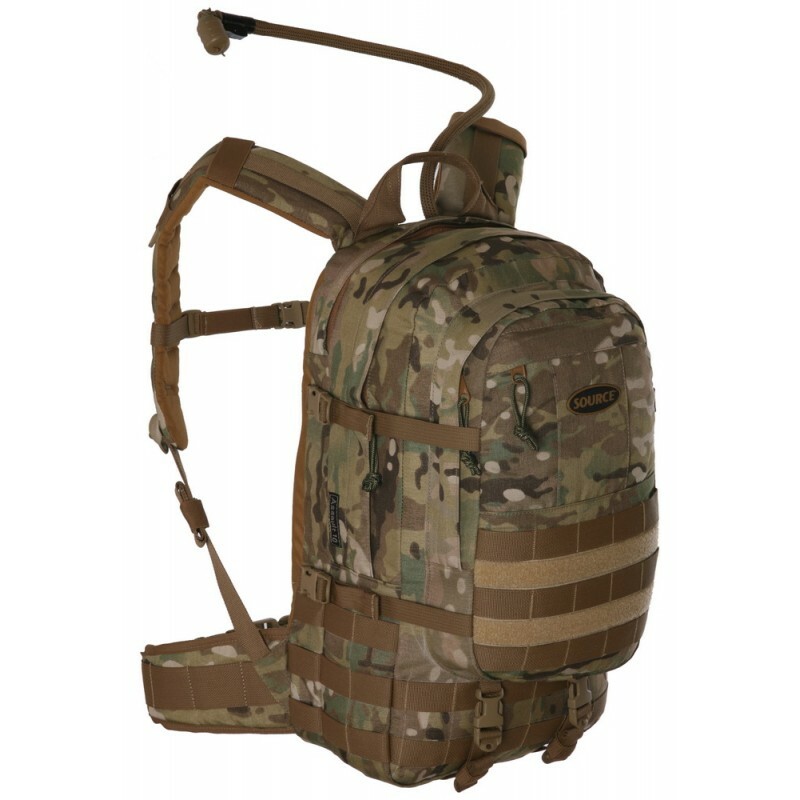 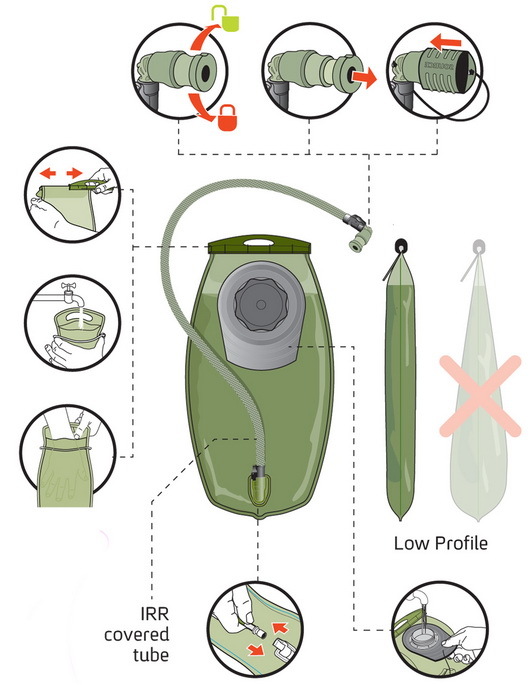 Upgrade your current hydration pack with a SOURCE low profile reservoir for pure water taste, Glass-Like™ bacteria resistance, and increased reliability.Each component in SOURCE’s hydration system features QMT™ connectivity for unlimited flexibility of use with Source accessories, and compatible filtering devices. 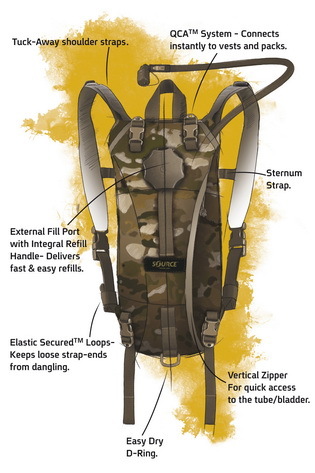 Upgrade your current hydration pack with a SOURCE low profile reservoir for pure water taste, Glass-Like™ bacteria resistance, and increased reliability. 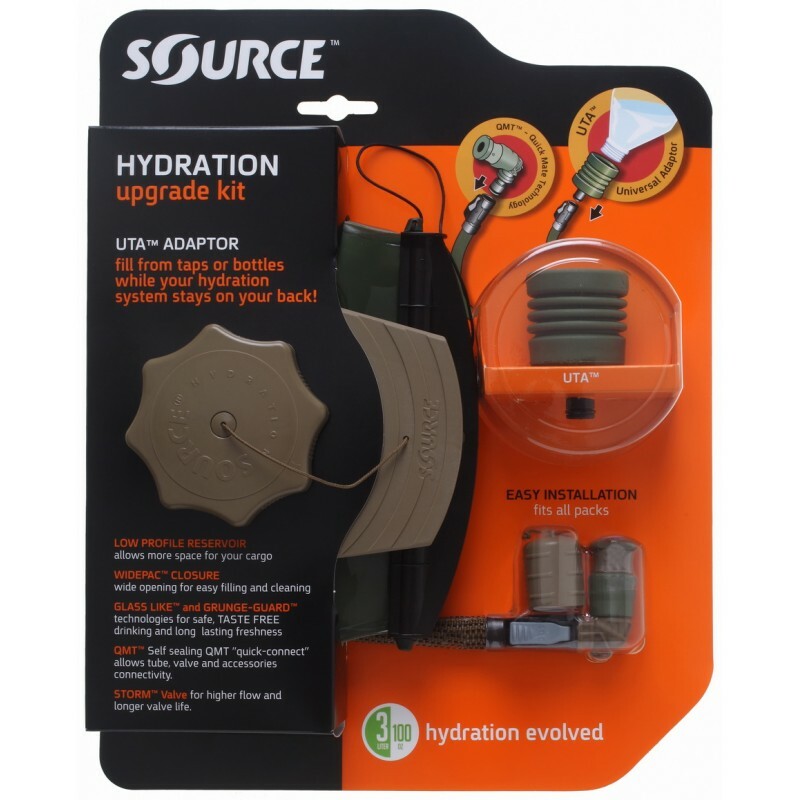 Each component in SOURCE’s hydration system features QMT™ connectivity for unlimited flexibility of use with Source accessories, and compatible filtering devices. 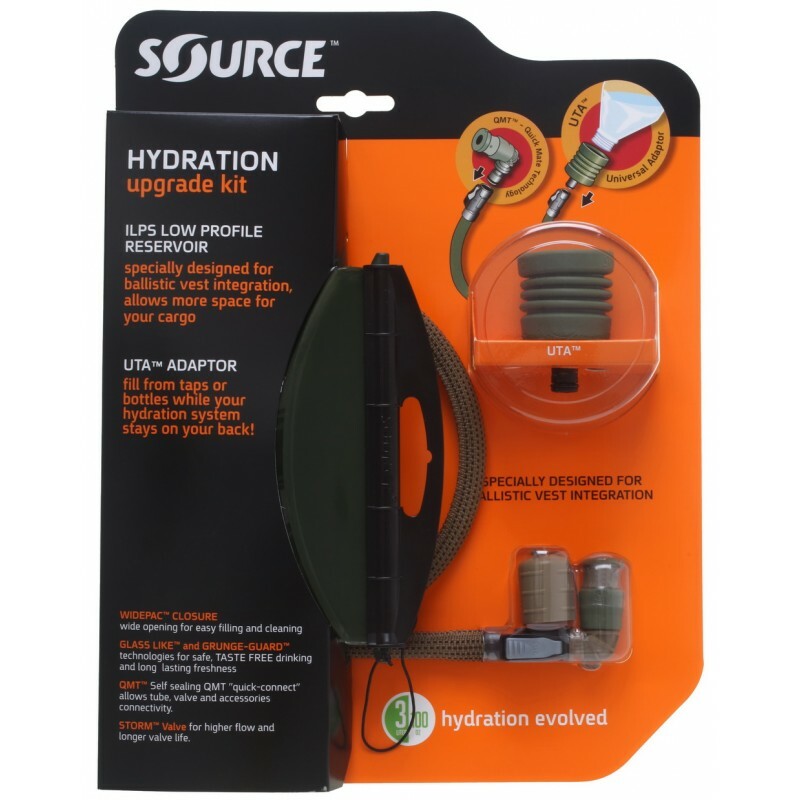 For Information about the UTA adaptor click here.